Black Death at the Golden Gate: The Race to Save America from the Bubonic Plague chronicles the story of how bubonic plague emerged in San Francisco and the race by doctors and Chinese immigrants to contain the disease before it spread to the country at large, all the while battling a racist mayor and governor who refused to believe that white citizens of the city could be in any danger of contracting an “Asian” disease. City and federal officials first quarantined Chinatown, and then briefly banned all travel outside of California, in a panicked attempt to contain the disease, setting up several landmark court battles that limited the government’s ability to interfere in the lives of Chinese immigrants. David Randall will come to CHSA to discuss his research and books will be available for purchase. 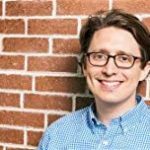 David Randall is a senior reporter at Reuters based in New York. 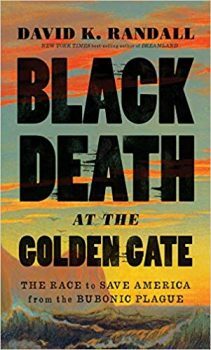 Black Death at the Golden Gate will be his third book. His first book, “Dreamland: Adventures in the Strange Science of Sleep,” was a New York Times bestseller, while his second book, “The King and Queen of Malibu,” was a Los Angeles Times bestseller and named one of the best non-fiction books of the year by Amazon.